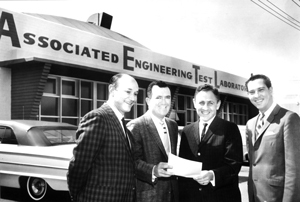 NTS was founded in 1961 by engineers Jack Lin and Aaron Cohen. Some of the first tests they conducted involved breaking windows and detecting leaks with helium. The success of these early tests allowed NTS to continuously expand its offerings with comprehensive engineering and testing laboratories serving the Aerospace, Nuclear, Defense and Commercial hardware industries. The 1980s ushered in all-new demands, and NTS answered, by outsourcing engineers to work on solid booster technology at Thiokol. In 1990, the Technical Resources division was created with the acquisition of S&W Technical Services, a company specializing in nuclear power plant support. Although well known as a premier nuclear testing lab, NTS saw the added value of this synergy and applied it to the industries we knew so well: Staffing expertise and capabilities in Aerospace, Telecommunications, Defense, Automotive and Information Technology. Today, we serve the world’s most performance-critical industries; striving to maintain the vibrant culture instilled by our founders. We believe in cultivating opportunity and growth through constant innovation and dedication to our customers. Each day is a chance to build upon our successful history and leave a legacy for future generations – not only within this company, but in the dynamic technological communities that make the world’s greatest products. Aaron Cohen and Jack Lin co-found Associated Engineering Test Laboratories (AETL) to provide high-tech testing services to a variety of industries. AETL goes public and is renamed National Technical Systems. The Fullerton, CA location is established through the purchase of Ogden Technology Laboratories. NTS acquires Acton Laboratories in Acton, MA, establishing our first east coast facility. The acquisition of an automotive testing laboratory in Detroit, MI expands the scope of end-markets tested. NTS expands operations by opening or acquiring facilities in Camden, AR, Boxborough, MA, Tempe, AZ, Culver City, CA, Tinton Falls, NJ, and Plano, TX. In 1998, NTS launches business plan strategy for building dominant positions in EMI, EMC, HIRF Lightning and NEBS telecommunications testing. Through a joint-venture partnership with National Quality Assurance (NQA) in Acton, MA, NTS begins offering Quality Management System Certification, ISO 9001 and other standards. With the addition of DTI, NTS adds a truly unique facility in Rustburg, VA. It includes a 36-acre quarry for performing MIL-DTL-901E Heavyweight Shock Testing. The quarry is 1,800 feet long, 250 feet wide, up to 130 feet deep and serviced by a 75-ton stiff-legged derrick. NTS completes its acquisition of Elliott Laboratories, Inc. The San Francisco Bay-Area electromagnetic compatibility (EMC), product safety and regulatory testing lab houses two full-service facilities. NTS Unitek is a leading provider of supply chain management services headquartered in Centreville, VA, close to Washington, DC. Founded in 1973, Unitek provides supplier management, development, source inspections and related technical services to corporations worldwide. Unitek's client list includes a distinguished list of tier-one Aerospace and Defense suppliers to the federal government and commercial customers. In business since 1977 and located in Pittsfield, MA, LTI is internationally recognized as a leading engineering services and testing laboratory specializing in the field of lightning protection. LTI's customer base, capabilities and service offerings are concentrated in the Aerospace, Construction and Wind Power Generation markets. The addition of LTI to NTS not only expands our commercial Aerospace offerings, but strengthens the company's non-Defense services. NTS is acquired by Los Angeles-based Aurora Capital Group, providing NTS with the capital to continue expanding our services. NTS acquires the testing divisions of Wyle Laboratories. This acquisition, the largest in company history, gives NTS three new facilities in Huntsville, AL, San Bernardino and El Segundo, CA. NTS acquires Trace Laboratories, an internationally accredited, full-service testing laboratory. The transaction adds 45,000 square feet of testing facilities in Palatine, IL, (Chicago), and Hunt Valley, MD, (Baltimore) to NTS’ capabilities. The Palatine facility (NTS Chicago) in particular strengthens our leading and sole nationwide network of environmental simulation testing capabilities — including dynamics, climatic, EMI/EMC, lightning, product safety, mechanical and fluids testing. 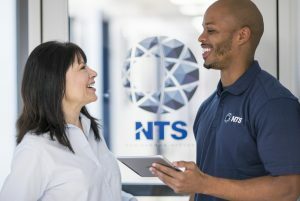 The acquisition of NQA transforms NTS into a unified, global certification organization with more than 32,000 active certifications in over 75 countries. 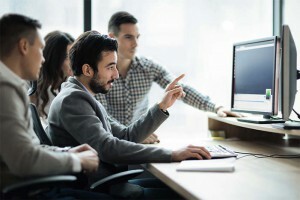 We can now provide a broad base of customers with a single certification resource for management system registration, as well as process and product compliance services and support. The addition also gives NTS headquarters in the United States, United Kingdom and China, and offices in more than 20 countries. The addition of the Microtek location in Anaheim, CA enables NTS to serve mechanical and electrical testing customers on both coasts. Microtek Labs, established in 1986, is an internationally accredited, full-service testing laboratory servicing the materials, mechanical, and printed circuit board industry and operating from facilities in Anaheim and Linthicum Heights, MD. In securing EMI Integrity, NTS adds a 17,000-square-foot, state-of-the-art emissions and immunity testing facility centrally located near Denver, Boulder and Ft. Collins, CO. Now NTS Longmont, it is the 12th NTS laboratory to offer EMI / EMC emissions, immunity and mitigation testing services in the United States. NTS Longmont also gives NTS an important geographic location to strengthen our nationwide coverage. Finally, as a CB Testing Laboratory (“CBTL”), NTS Longmont allows us to expand services to Medical Device clients. Qualtest teams up with NTS to provide internationally accredited, full-service testing with two locations in the greater-Orlando area. One facility offers expansive environmental, climatic, dynamic, hydraulic and pneumatic testing. The second facility specializes in EMI / EMC testing. NTS Longmont gains test assets of a local internal laboratory. The new facility is known as NTS Longmont West and is located eight miles from the NTS Longmont EMC laboratory (formerly EMC Integrity). Combined, these two facilities uniquely fulfill the region’s needs for a single resource for both environmental/dynamics and EMC/EMI testing. Chesapeake was founded in 2006 as a body armor testing lab operating two indoor firing ranges. Today NTS Chesapeake is a fully accredited and internationally recognized state-of-the-art testing provider. The merger provides NTS with approximately 60,000 square feet of laboratory space in Belcamp, Maryland (adjacent to Aberdeen Proving Ground), which serves customers in more than 15 countries. NTS Chesapeake boasts eight indoor firing ranges specializing in testing ballistic and armor protection systems. It also offers a number of additional capabilities, such as environmental conditioning, mechanical testing, forced-entry testing, as well as non-destructive X-ray and CT scanning. NTS acquires Fiarex of Chambly, Quebec and CEM of Boucherville, Quebec. Fiarex specializes in dynamic and environmental testing, while CEM focuses on electromagnetic compatibility and interference testing (EMC and EMI). The addition allows NTS to serve a number of leading customers in the Aerospace, Defense, Automotive, Rail, Consumer, and other industries. The Chambly facility offers dynamic and other mechanical testing as well as a number of environmental tests, including ingress protection testing and reliability services, such as HALT. The Boucherville lab provides emissions and immunity testing to FCC, EN, IEC and RTCA-DO160 standards, and both facilities are accredited to ISO/IEC 17025:2005 by the American Association for Laboratory Accreditation (A2LA).